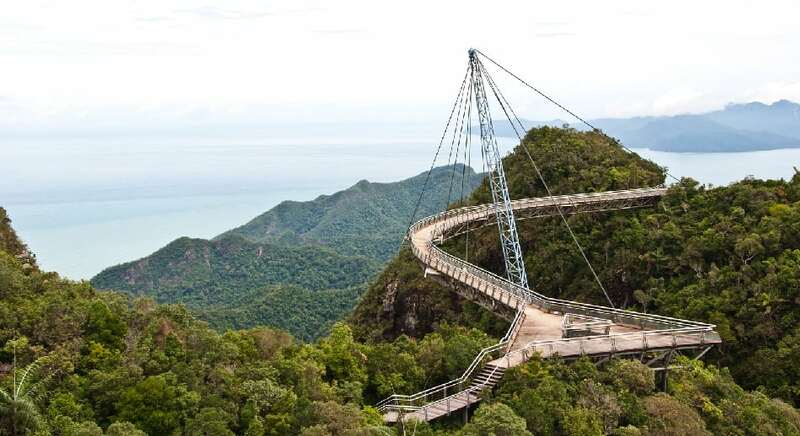 Set above the treetops, the Langkawi Sky Bridge is one of the highest elevated single-stay bridges in the world. The deck is less than 6 feet wide and its curved shape gives visitors a panoramic view of Langkawi, an archipelago of 99 islands. Each end is fitted with triangular observation decks.